J. David's post that started this theme mentioned the Amsterdam scene, which got me thinking about a band that I for some reason mistakenly associated with Amsterdam. In fact, they were American. I've been searching my brain for reasons why I might have made that incorrect link. Was it the title "Vincebus Eruptum"? While the band did at one time make a move to Germany, that would have been after I stopped paying them any attention. In fact, after most anyone stopped paying them much attention- which is the focus of this theme. I will note, however that the photo above, taken from Wikipedia, kind of bolsters why I might have been thinking so. 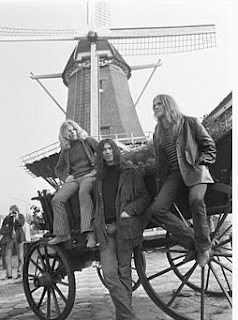 Blue Cheer may have come out with a small handful of albums, but only one of their albums and only one of their songs made it anywhere on the music charts. That said, they had some influence - credited by many as one of the first heavy metal groups and by Clapton and Jim Morrison for their musical influence. The band struggled through more different lineups than you can imagine, almost all of them including bass player Dickie Peterson. But it's their version of Eddie Cochran's Summertime Blues that stands as their major claim to fame. I know, I know, Darius, what the heck is this? Even though we don’t have a “no disco” rule here, what am I doing? Well, first of all, give these songs an actual listen. Nobody hated disco more than me, and I hate it still, but this is not disco. Yes, Dr Buzzard’s Original Savannah Band especially were marketed as disco, and it worked well enough to make Cherchez La Femme/ Se Si Bon a hit in 1977. But this is not disco. This is music that a major label thought for some reason that they could sell, but it is another thing entirely. Nowadays, we might call this electroswing, if anything, but that genre label would not exist for another thirty years. August Darnell, first with Dr Buzzard, and then with Kid Creole and the Coconuts, was there long before it was even mildly fashionable, and he made this fascinating music that defied the genre labels of the day, and still does. From song to song, you might hear traces of big band music, various Latin stylings, and anything else that caught Darnell’s ear. By the time we get to Stool Pidgeon in 1982, we are hearing one of the greatest bass lines in history, but the song is not exactly funk either. The main difference between the two groups was emphasis. Dr Buzzard’s Original Savannah Band featured Cory Daye on lead vocals, while Kid Creole and the Coconuts would feature various singers until Darnell himself finally stepped up to the microphone. There were also some lineup changes, but the core group of August Darnell, Stony Browder, and Andy Hernandez remained a constant. I discovered this music starting with Kid Creole and the Coconuts and the album Off the Coast of Me. The song Lili Marlene particularly caught my ear, even though I don’t understand the German lyrics at all. At the time of its release, I was learning about most of the new music I heard from our own J David and other DJs on WPRB, the Princeton University station. But this one came to my attention because of a write up by Robert Palmer in the New York Times. As I recall it, Palmer talked about how August Darnell lived in a neighborhood in New York City where he would hear music from many different ethnic groups, and he brought all of those influences into his music. Many other artists swam in this same musical ocean, but no one else that I have ever heard synthesized it like this. Beneath the shimmering surfaces of these songs lie great musical depths. Allow yourself to explore them, and you will wonder as I do why this music is not better known today. 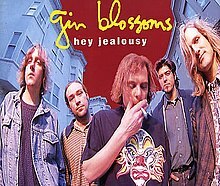 Remember back in the 90s, when “Hey Jealousy” was all over the radio? It was a top-25 hit in the US, and was popular on the college/alternative stations. And the follow up single, “Found Out About You,” did well, too, also cracking the top-25, and topping Billboard’s Modern Rock chart. The album from whence these songs came, 1992’s New Miserable Experience, made it to No. 30 on Billboard’s album chart, and the band was riding high. But behind this success was something darker. One of the founding members of the band, which got together in Tempe, Arizona in the late 1980s, was guitarist and songwriter Doug Hopkins, who was in many ways the “spiritual leader” of the band, which was named after the slang phrase for what alcohol abuse did to W.C. Fields’ nose. After the band cycled through members, gigged regularly and independently released an album, they were signed by A&M Records, and began to work on what became New Miserable Experience. Hopkins contributed both future hits, and some other songs to the album, but his alcoholism became so difficult to deal with, that at the end of the recording sessions, Hopkins was sacked. And because of financial hardship, Hopkins sold his publishing rights for a relative pittance. So, while the Gin Blossoms were gathering momentum, the guy who wrote their two biggest songs was out of the band. Now, that’s not to say that only Hopkins’ songs were good. In fact, New Miserable Experience is, for the most part, a deep album, with many good songs written by a number of different writers. It is an album that fits broadly into the power pop genre, with influences from Big Star, to R.E.M., to The Replacements, but they often married upbeat tunes with darker lyrics. Personally, I really liked the album and a number of the songs made it onto cassette mixtapes that were played in my car, turning the Gin Blossoms into a favorite of my young son. When it comes on the radio, I turn it off, because I don't really want to hear that. It doesn't make me feel good or anything. . . I mean it makes me feel like I accomplished something, but it didn't turn out the way I intended. Well, nothing ever does. Now's getting to be the time when, in a way it would be a lot of fun, because they're on the radio all the time. It's my song but I don't enjoy it. I can't listen to it because it just pisses me off. I started the band five years ago. I spent five years of my life on this, to get it to where it is now, and now it got yanked out from under me, so I'm a little on the disenfranchised side. On December 5, 1993, Hopkins committed suicide. The band had a successful song on the Empire Records soundtrack, "Til I Hear It from You," co-written with Marshall Crenshaw (who is probably a good subject for another “Forgotten?” piece), which charted as a single, and the band’s follow up album, Congratulations I’m Sorry, named after comments the band received—“Congrats on your success, but sorry about Doug,” was also successful, if not to the level of its predecessor. I liked it, and there are a bunch of good songs on it. The Gin Blossoms appeared on Leno, Letterman (sometimes with Kiss) (and Paul Shaffer often used their music to go in and out of commercial breaks), and Saturday Night Live. But their momentum stalled, and in 1997, the Gin Blossoms broke up. Reunion tours in the early 2000s, and a handful of album releases thereafter, including one a couple of months ago produced by the great Don Dixon, have pretty much failed to break through in any real way, and I have not listened to them (although I probably should). Speaking of Forgotten, the current Gin Blossoms website fails to mention Hopkins at all, which is kind of petty. Although he hasn’t been part of the band for decades, it is likely that had it not been for him and his songs, we might not even know about the Gin Blossoms at all. But, for a few years, Gin Blossoms were blooming everywhere, and maybe this will prompt you to move them from the Forgotten column to the “Oh yeah, I remember those guys” column. I loved this band, their singles always enlivening my youth, with Fire Brigade being one of the first singles I bought, familiar with all the words of all their hits, identifying, o yes, with the cool, hairy dude who seemed to run the show. You will understand I was still at school and short back and sides haircuts were the order of the day, perhaps intrinsically one of the reasons I was drawn to the shaggier bands of the day. And whilst lead singer Carl Wayne was always neatly groomed, it was the freakier fellow who played guitar and did additional vocals, later learning he wrote all the songs, that drew my innocent eye. I learnt his name. Roy Wood. The original band was a roster of greats from the Birmingham, not that one, circuit. Brumbeat, as the sound of the city was called, was quite a force in the 60s, with the Moody Blues, Spencer Davis Group and Black Sabbath, themselves also managed by Arden, all emanating therefrom. The original line up of Wayne, Wood, Ace Kefford, Bev Bevan and Trevor Burton began to fracture. First Ace Kefford was fired, for his drug use, shortly before the band appeared at the inaugural Isle of Wight festival of 1968. 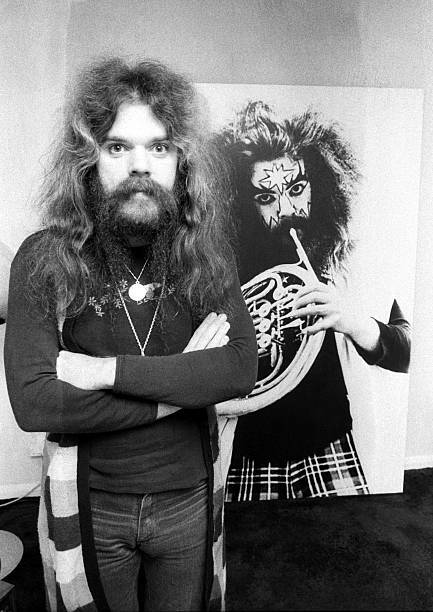 Trevor Burton subsequently took umbrage at the more commercial direction pursued, with Wayne then moving into the cocktail and chicken in a basket cabaret circuit in 1970. Burton, surely a shoulda/coulda also ran in rock's back pages remains to this day a staple on Birmingham's pub-rock circuit, fashioning his never changing and never fashionable blues-rock, remaining, like sometime cohort, Steve Gibbons, world famous in Birmingham. Wayne strangely reappeared, after years on the easy listening pastures, as a latter-day lead singer for the Hollies, replacing Allan Clarke, and introducing a few old Move songs to this now largely nostalgia act's repertoire, ahead of his later death. Indeed. At the same time as Wood and Lynne revived the Move template, so also they worked together on another ambition of Woods, the marriage of strings and rock music. A keen self-taught cellist, amongst virtually any other instrument you might name, he had long sought an opportunity to replicate live the sort of lavish sounds of, say, Strawberry Field Forever. With Lynne an even more fervent fan of the Fabs, in 1970, in parallel with the Move, Electric Light Orchestra were born. However, after their first eponymous recording, musical differences began to appear, and they split, consequently also fracturing the Move. ELO, of course went on to fame and fortune, which need not burden us here, their brand becoming overly saccharine for my taste, although their "version" of Do Ya' perhaps is worthy of compare. For a while Wood seemed the man more likely. He took his brainchild into the equivalently cello laden Wizzard, but with a much more varied palette, a slew of hit singles evoking bygone eras, in turn replicating an ersatz rockabilly vibe, at others, and convincingly, the Phil Spector wall of sound. Perhaps too talented for his own good, he pursued a solo career of quirky singer-songwritery, as often as not used to demonstrate his mastery of an ever more arcane instrumental palette. Since then, and thus for the best part of 30 years he has seemed to pursue ever decreasing circles, as Wizzard became the Wizzo band, producing a sub-Zappa jazz-fusion, ahead of innumerable short lived iterations. Perhaps he just ran out of steam, perhaps he just didn't need to try so hard. An intensely shy and private individual, living quietly in the same town as a chum of mine, he is apparently content to merely potter about for much of the year, ahead of his yearly donning the warpaint for the annual outing of his pension plan, along with a yearly Christmas concert at Birmingham's Symphony Hall. Mind you, the royalties for a song that never fails to chart, year upon year upon year can do no harm. He remains etched upon my childhood, a lost figure content, it seems, so to be. Up there with Ray Davies in my book, Kinks supremo, who, perhaps unlike Wood, has never quite given up trying to replicate his bounteous past. Here's his take on it. So, cheers, Woody, thanks for all of that. Postscript: Do NOT fall for the more recent faux Move product, a latter-day laying claim to by drummer Bev Bevan, who has a track record of this, his E.L.O. part II originally also claiming to be the real thing. Or so, a lawyer writes, I understand.